Starting Jan. 1, up to 400,000 low-income Virginians will be eligible for the Medicaid program. In Arlington, that means up to 7,000 people will have health insurance coverage who couldn’t otherwise afford it. To find out if you’re eligible, please visit www.coverva.org. This is significant for Virginians suffering from the most common chronic diseases — heart disease, asthma, hypertension and diabetes — because they can enroll in the Medicaid managed-care program to help manage their disease. But this is also a significant development for those suffering from the effects of opioid addiction and other substance abuse disorders. Nationally, about 105 people die every day from a drug overdose. Addiction can affect people from all walks of life. Over 1,100 Virginians died in 2016 from opioid overdose, nearly doubling since 2011. Count me as someone who wouldn’t have believed the opioid epidemic would have hit my hometown of Arlington as hard as it has elsewhere. But statistics don’t lie. The number of overdoses and related-deaths in Arlington increased sharply from 2015 to 2017 — from 10 to 74 — but there’s hope 2018 will show some progress. We are seeing progress in large part due to a greater national focus and a robust, coordinated local and state response. This includes working with medical professionals to increase awareness and control of opioid prescriptions, increasing addiction treatment resources, increasing police involvement, providing easy-to-use drug “takeback” centers at certain Arlington fire stations, and strengthening awareness with school officials and families. Yet I believe what is driving our progress the most is increased funding for treatment. In Virginia, we implemented the Addiction and Recovery Treatment Services (ARTS) program in April 2017 to increase access to treatment for Medicaid recipients suffering from opioid or other substance abuse disorders. With a federal match, Virginia increased spending to $16.8 million, up from $5.2 million the previous year. The ARTS program includes a full spectrum of addiction treatment: inpatient withdrawal management, residential treatment, partial hospitalization, intensive outpatient programs, opioid treatment, peer recovery, and case management. The ARTS program is integrated into the existing Medicaid program. During the first year of ARTS, more than 20,000 Medicaid recipients in Virginia were diagnosed with an opioid use disorder and about 30,000 have other substance abuse disorders. More than 40 percent of Medicaid recipients with substance abuse disorders received treatment during the first year of ARTS, up from 24 percent in the prior year. Nearly 2 out of 3 (63 percent) with opioid use disorders received treatment during the first 12 months of ARTS, up from 46 percent in the prior year. In Northern Virginia, we went from a 39 percent treatment rate to a 55 percent treatment rate for opioid use. During that same period, the total number of Medicaid opioid prescriptions for pain management in Virginia has decreased (27 percent); the number of emergency room visits related to opioid use has gone down (25 percent); and with increased reimbursement, the supply of addiction treatment providers has increased (173 percent). Despite these recent gains in coverage and access to treatment services, we still have much more work to do. We need to remove the stigma of addiction and convince more Virginians struggling with substance abuse disorders to seek help. Despite the progress of treatment, at least 60 percent of Medicaid recipients with substance abuse disorders and nearly 40 percent with an opioid use disorder did not receive any treatment services. We have to do better. The good news is treatment is available and treatment works. And for those new Medicaid enrollees suffering with addiction, starting Jan. 1, they have a promising pathway to prevention and recovery that will save lives. Del. 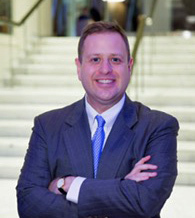 Patrick Hope has served in the Virginia House of Delegates since 2010, representing the 47th District in Arlington County. He is a health care attorney and is the Executive Director at the Medical Imaging & Technology Alliance and an adjunct professor at Johns Hopkins University Bloomberg School of Public Health. In 2018, he was appointed to the Virginia Substance Abuse Services Council.